Nach langer Zeit war der Sperling mal wieder auf Achse und hat sich – aus aktuellem Anlass – mit den Piraten in Venezuela unterhalten. Genau genommen sprach mit allen und keinem, der Interviewpartner wollte – verständlicherweise – nicht mit eigenem Namen auftreten. 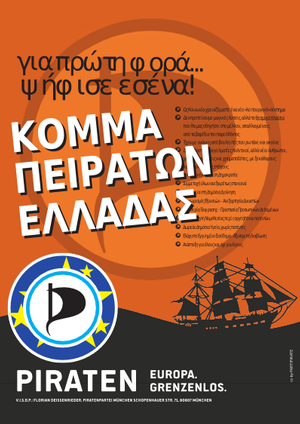 The Pirate Party is a minor political movement that started sometime around the year 2010 in Venezuela. Currently, they are organised as a single team with members from all over the country. You can find their statements and positions here. Sperling: Hello, how are you? And what are you doing in “real life”? Some pirate: Hello! We are doing okey at the moment. Here you can breath a tense calm in the atmosphere. For the rest is the usual, struggling to-find/or-being-able-to-buy medicines, food, basic stuff like toothpaste and getting to and out of work. Is everyday like kind of stuff that you would normally take for granted and don’t pay too much attention to. Inside the core of the Pirates we have college students, engineers, writers, lawyers. Sperling: Please tell me, what is your job in the Venezuela Pirates and when/how do you get it? Some pirate: No one has an specific job really. Since we are a small group, we debate ideas/proposals and then someone goes and does it if able. Sperling: How are the Venezuela Pirates organized? Some pirate: We are a small group, so we discuss everything freely in a horizontal way and vote regarding subjects. We have no leader or main spokesperson. Sperling: How many pirates are on board, can you tell me something about your members? Some pirate: We have a core group of 20 people with on and off activists and everyone has a vote if they express their opinion clearly and respectfully. We do this because of our small size. Also, we do not keep a full record of members to respect their privacy. Some pirate: E-Mail list, Etherpads, Mumble, Ring, Telegram and Signal are the most used tools so far. Sperling: Do you use an online-voting tool? Some pirate: We have used Loomio in the past, and managed to get some results with it. We would like to have our own system and for it to be present in all kind of elections in the country. If the system is open, transparent and auditable, we can’t be against it. This combined with an introduction of liquid democracy we believe can help with corruption and bureaucratization in a local level. Sperling: Which channels you use in social media or “the internet” for contact with non-pirates, do you reach the people “outside”? Some pirate: After all the security, privacy and digital rights violations that have been discovered in various social networks, we right now only work with Twitter, Email lists and group chats. For IRL talks, we try to participate in talks regarding education in Internet privacy and security, open-source software and hardware and of course human rights. We don’t usually present with our Pirate brand though. Sperling: The Venezuela Political system is not well known in Germany, are there parallels to more known like the UK, the USA or France? 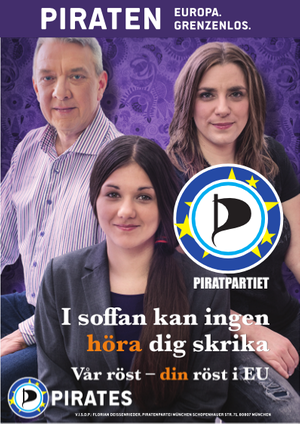 Some pirate: We are also not well-versed in the political system of Germany, UK, USA or France, so we wouldn’t exactly know where to point a mayor difference. Venezuela is a democratic multi-party republic with a presidential system. The people can elect the president, mayors, governors and the National Assembly, the later elects the Supreme Tribunal of Justice, the highest court of law in the country. After checking the website, we can recommend to check the English article of Government in Venezuela and Politics in Venezuela in Wikipedia. Sperling: Is there a chance for small parties to get involved in the system? Some pirate: No, not in a national level at least. Small parties can work in a small local o regional level, but once you get to the full national level is pretty hard to make your name sound, specially given the current state of politics in our country and the polarization. Sperling: Can you tell me which positions are the “central ideas” of the Venezuela Pirates? 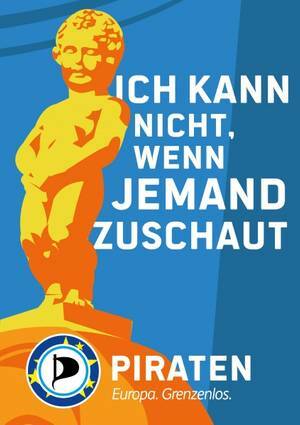 Some pirate: Our most important core is the defense of Human Rights and Digital Rights. The right to privacy and freedom of choice, information and culture. Sperling: In the news, we hear about strike, hunger, Dead People, “right-wing” opposition, … Can you explain what happens in Venezuela? On which rules did the country and society “work”? Some pirate: This is probably the hardest question for us to answer, since well, it’s complicated. Most of what you are listing is true. There are minor strikes, minor because the government tends to crackdown hard on strikes when they erupt in places of work under Government Administration, and syndicate leaders are either coaxed into silence or imprisoned. The levels of hunger right now in the country, we can only imagine, some NGOs try to manage some data, but in truth there’s no up-to-date data on that regard from official (Government) sources, and that makes it difficult to pinpoint an exact number. But you can see it everyday, on people’s faces, their bodies, on the amount of people asking for food or looking for it in the dumpsters. On the sometimes impossibility to get a certain type of food because it is either non-existent at the moment (can’t find it anywhere) or the price makes it a hard choice to buy. With the amount of dead people happen the same, we have no factual official data, and can only work with what NGOs gather. People dying because they can’t find the treatment for their disease, dying in hospitals because a lack of infrastructure or medical supply, dying on the streets or their homes because the incredibly high level of violent crimes and insecurity, dying in the chaos of protests some at the hands of government forces when they use “non-lethal” force. “Right-wing opposition”… Is that how they see it at a international level? Let’s be clear about something, yes it is true that a mayor part of the political opposition to the government is not exactly “revolutionary”, but to brand them all as right-wing is just plain wrong. Sure, their economic views are the same old of the past 50 years with a focus on oil. But right now you have a quite diverse opposition to the government of Nicolás Maduro. Social-democrats, social liberals, classical liberals, christian democrats, libertarians, nationalists, democratic socialists and progressivists all participate inside the broad and more know movement against the government, but you also have marxist-leninists, trotskyists, libertarian socialists and anarchists outside of that group, presenting their opposition to the government individually while not supporting the first group. Outside of all of this, you have an increasing discontent to the government happening in some of the poorest neighborhoods of the country, places where usually the support for the Government was solidified and Chavismo is still popular, but they openly protest Nicolás Maduro, the corruption and demand the fulfillment of their basic needs like food, health and security. Sperling: Thank you, very interesting article. Did the Media report about you? Did they report of the success of the czech/iceland pirates? Some pirate: None of that. The only article published regarding the political Pirate Movement in Venezuelan press was one talking about movement itself, their goals, and the necessity of a movement like that in Venezuela. It was published in the TalCual newspaper around 2009-2010 and authored by Luis Carlos Díaz, a know digital and human rights activist. Sadly, the article has since been taken down. Sperling: Is there anything you want to tell us about you, the Venezuela Pirates, the universe or the rest of all? Some pirate: We don’t know what the future of our movement in the country will be. The political situation right now is quite unbalanced and unstable. 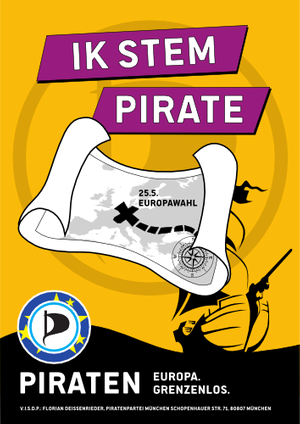 We do have some hopes for the Pirate Movement on a international level and believe it to be a necessary force. To the international Pirate fleet that has come in support to our little crew, thank you deeply from the bottom of our hearts! To all, we understand that our situation is difficult, we don’t even like or support all of what is happening. But one thing is clear, even if you don’t support what is happening here or the place some support is coming, we ask you to reconsider, analyse and see that there’s no place to support the current government of Nicolás Maduro. The people of Venezuela deserve and demand our right to decide, to have free and open elections with a system we can trust. Sperling: Thank you for your time, we hope we hear about you in the coming years! Some pirate: Thank you! For having an interest into our views of what is going on in our country. Ahoy! 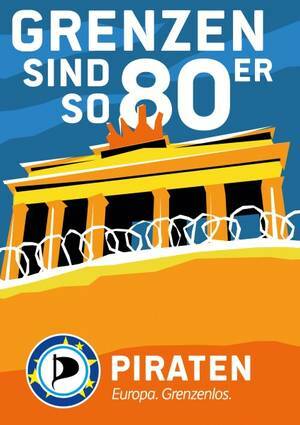 Autor: Sperling Kategorie: International, Piratenpartei. Tags: international-pirates, Piratenpartei, Venezuela.